There is a great deal of irony to the Hopkinson & Cope Columbian press. 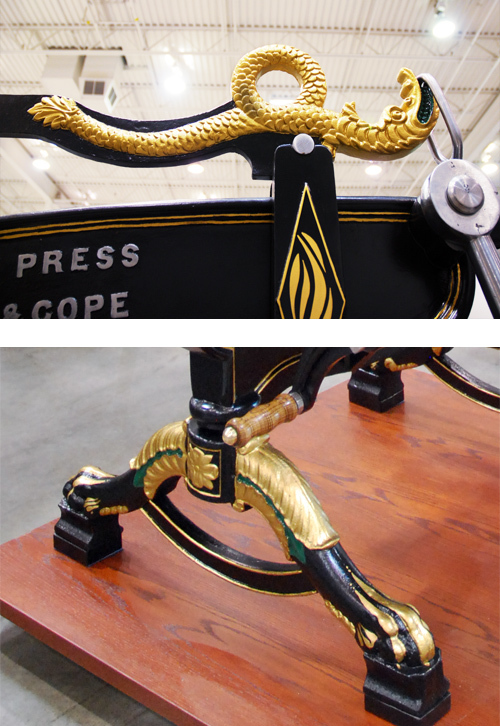 George Clymer designed and built the “Columbian” - a press that utilized levers to make an impression. 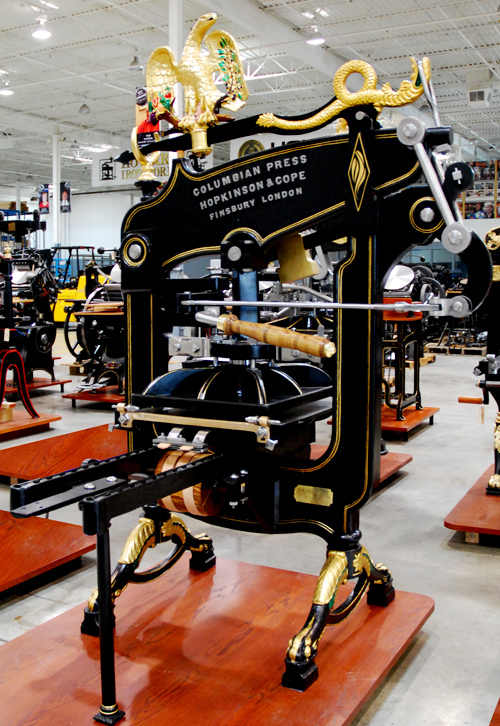 Richard Cope, then his successors Jeremiah Barrett and John Hopkinson, had become equally successful with the “Albion” press. 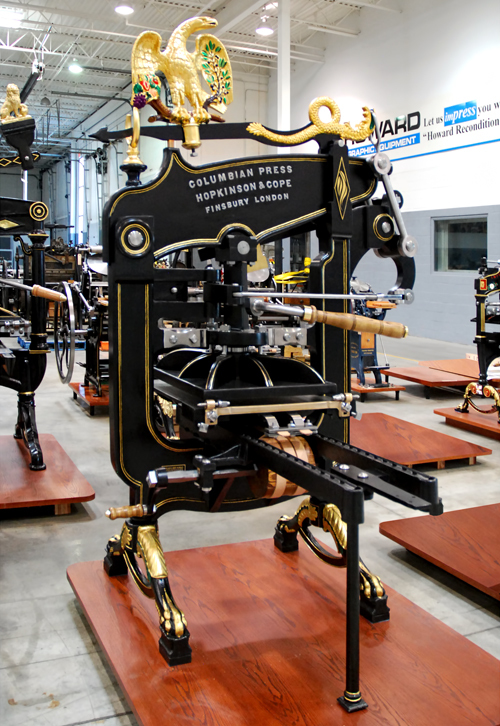 Virtually at the same time as Clymer, Richard Cope went into business in the early 1820’s and the Albion instantly became a strong competitor to the Columbian. How then does one explain our machine? 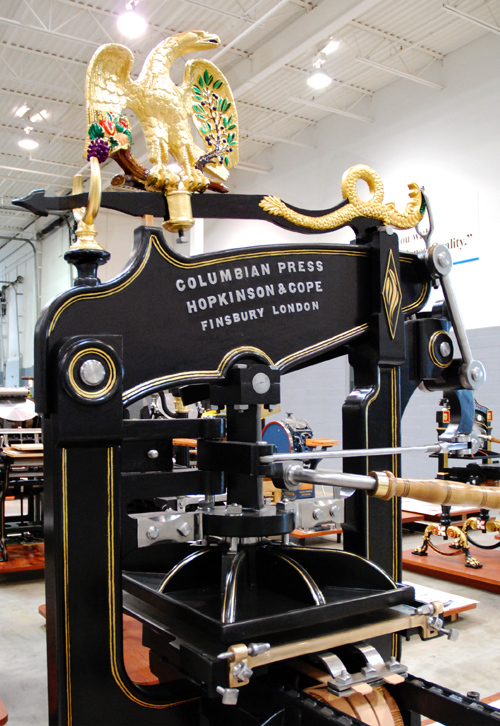 Dated 1865, the Hopkinson & Cope Columbian is indeed made by the strongest competitor Clymer had. Tantamount to say Toyota building a BMW. There are very few on record to exist. In fact, we have only located two others with plates reading : Improved Colombian Press - spelled incorrectly. HIW feels this machine is an important piece of history albeit a very plain one. 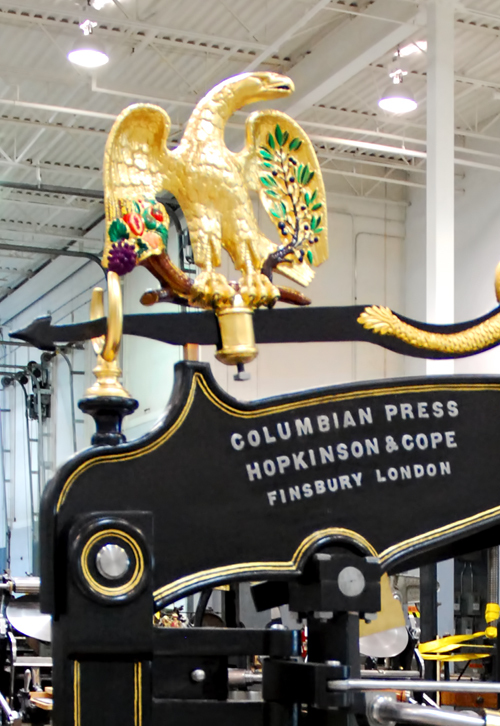 There is also a brass plate affixed and reading V & J Figgins the well-known London press maker who themselves manufactured Columbians. Irony of ironies.